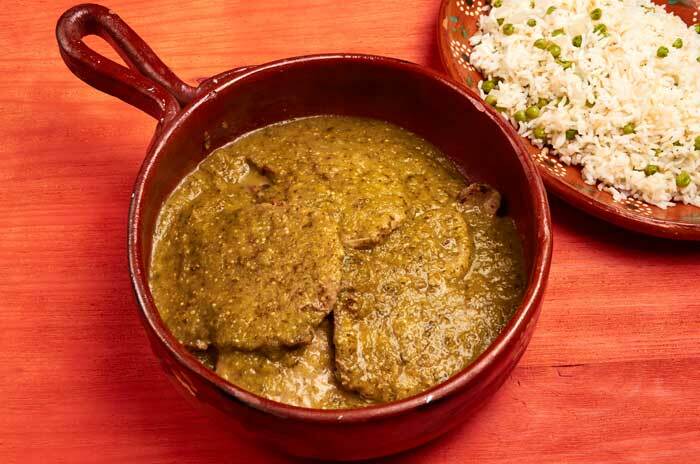 Pork chops and salsa verde is a great combination. This is homecooking at its best. It’s a super easy dish to prepare especially if you already have some salsa prepared. You can put it together in about 40 minutes. 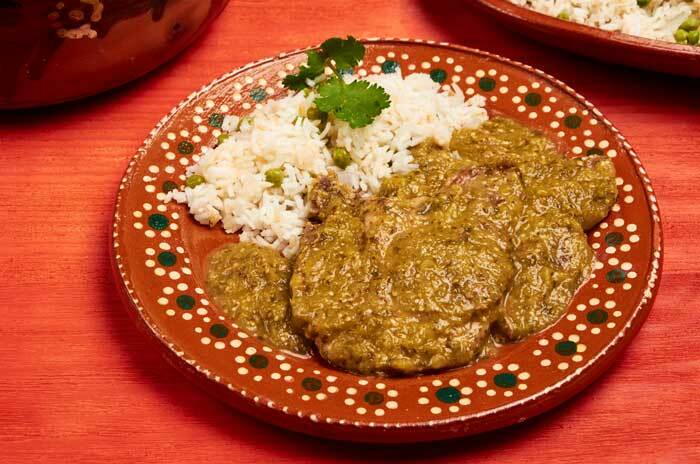 In Spanish, chuleta means “chop” and puerco means “pork.” Therefore, chuletas de puerco en salsa verde. Makes sense, right? 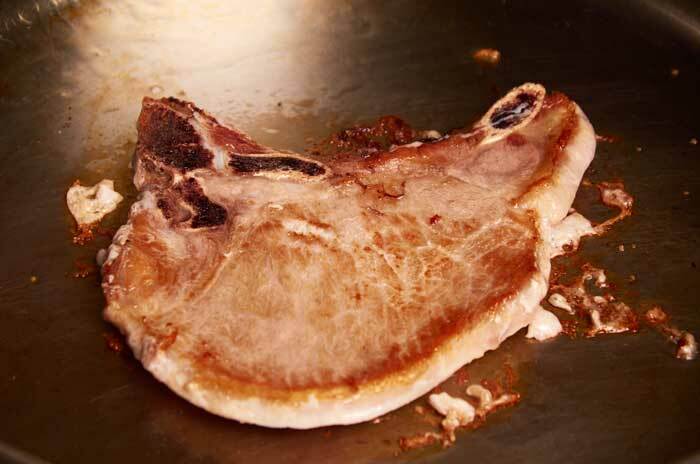 To make this dish authentic, you want to use very thinly sliced pork chops. Thicker cuts of meat aren’t commonly used in Mexico. You will probably have to ask your butcher to cut them extra thin for you. Your best bet for finding typical Mexican cuts of meat is in a carnicería, a Mexican butcher shop. There is a good chance there is on in your area. 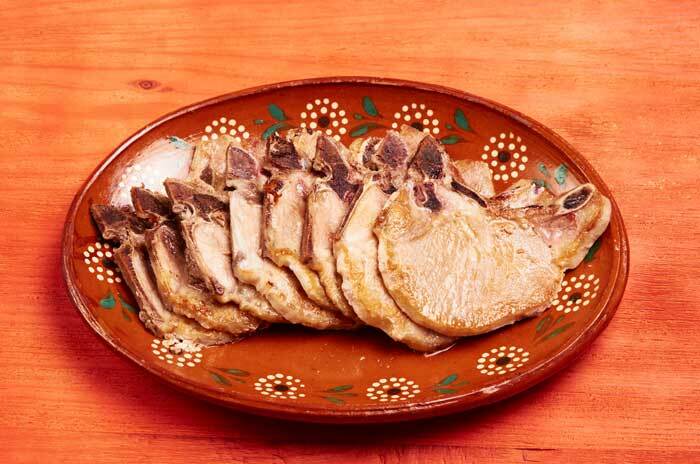 Carnicerías are a great resource for recipes and authentic cooking techniques. If you are friendly and ask a few questions you will go home with a lot of great new ideas. 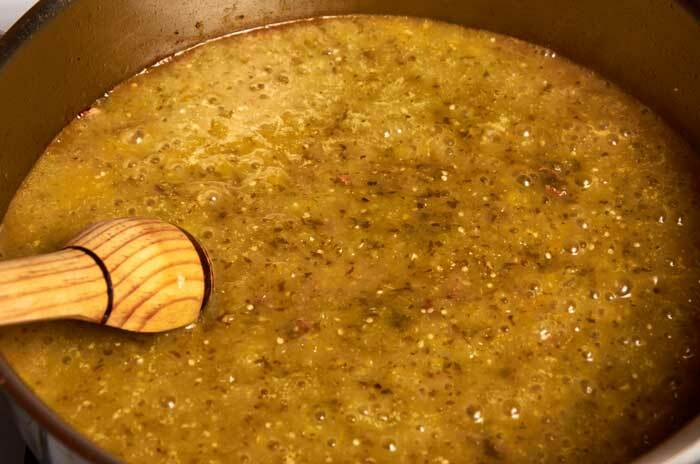 The first thing you need to do is prepare a batch of salsa verde. This is a great recipe which works with many dishes. The salsa takes about 30 minutes to prepare. While it is cooking you can get work on the rest of the dish. Note: You can substitute bottled salsa verde for homemade. The results are still delicious and preparation time is super fast. Start by preparing a batch of salsa verde. 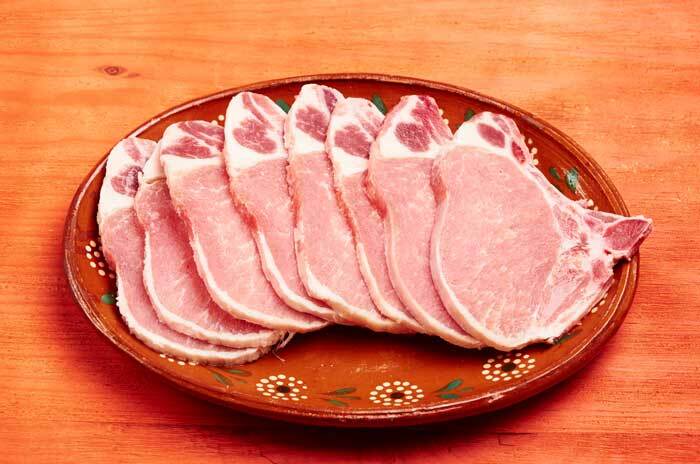 Use very thinly sliced pork chops. Trim most, but not all, of the fat off the chops. You want to leave a little fat because that remains will enrich the sauce. Add about 2 tablespoons oil to your hot pan. Preheat you pan until very hot. Add about 2 tablespoons of your favorite cooking oil. 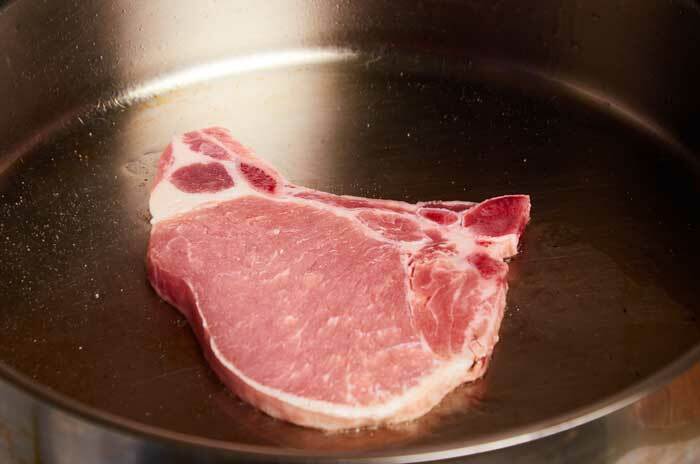 Place the pork chop in a hot pan to brown. Only brown, 1 or 2 pork chops at a time. Be careful, there is a good chance that the oil will spatter when you are browning them. Make sure that they are nicely browned on each side. Set aside the browned pork chops. Set all of the browned pork chops aside until you are ready to cook them in the salsa. Add the salsa verde to the pan. Add half of your salsa verde to the pan in which you browned the meat. The fat from the meat and the browned bits in the pan will incorporate into the salsa and enrich it. 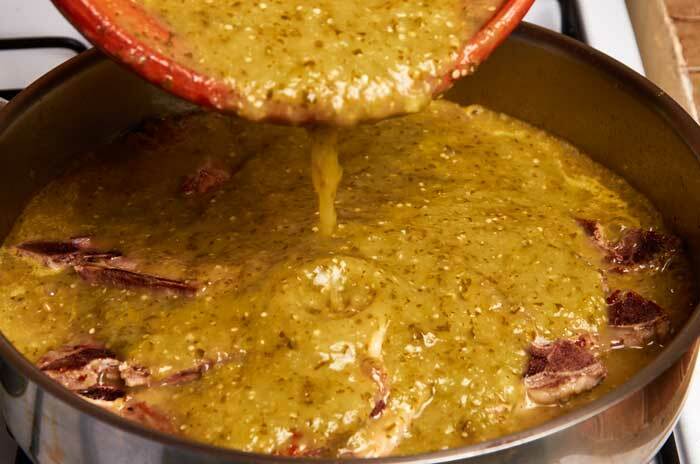 Add the pork chops to the pan and cover with the other half of the salsa verde. Turn the heat to low and simmer for about 15 minutes. You want the sauce to reduce until it is no longer runny. You want it to stick to the meat when you serve it. 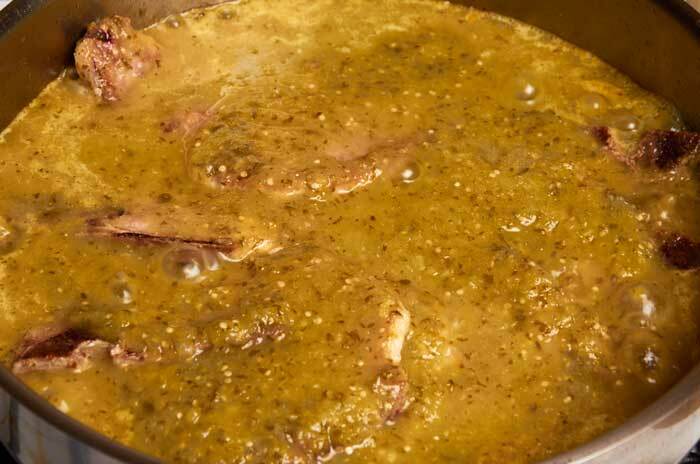 Your pork chops in salsa verde are ready to be served. Notice how the sauce thickened after simmer for 15 minutes. Recipe for Mexican pork chops in salsa verde, chuletas de puerco en salsa verde. A quick, easy and delicious weeknight meal. Turn the heat to low and simmer for about 15 minutes until the salsa has noticeably reduced. Serve 2 pork chops per person with white rice on the side. Be careful when browning the meat. 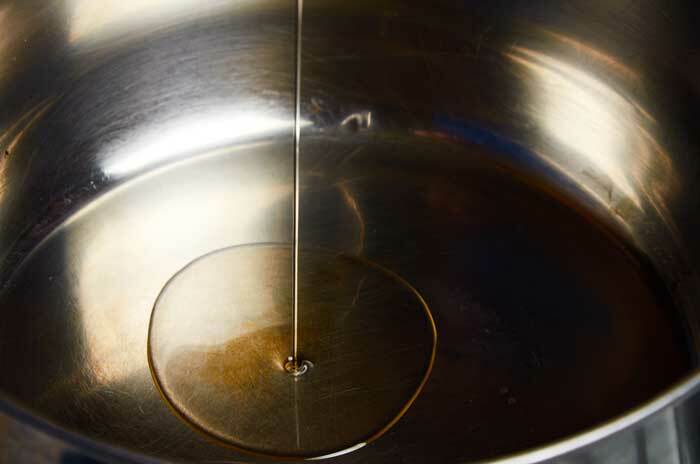 The oil tends to spatter and you want to avoid getting burned. 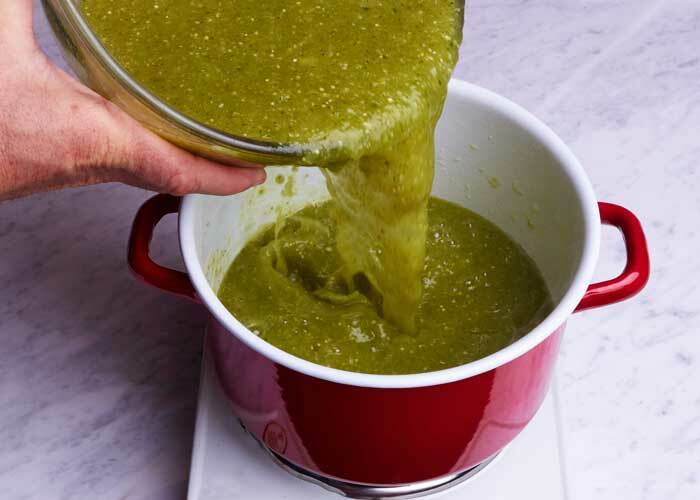 You can substitute bottled salsa verde for homemade and you will still get great results. I tried the recipe for the culetas en salsa verde. Instead of water can I use vegetable broth? Will the Salsa give the pork chop it’s flavor or does the chop have to be seasoned as well?